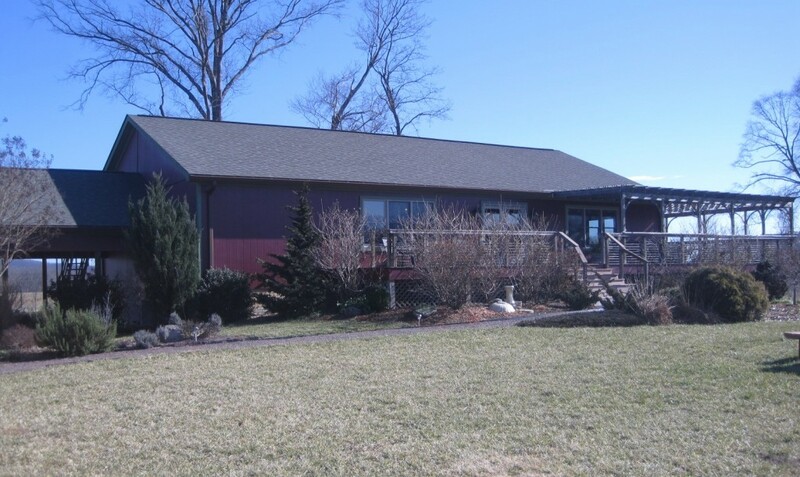 So, I was thrilled to have the opportunity Saturday to participate in a vertical tasting of Cab Francs at Gadino Cellars in Washington, VA (Rappahannock County). 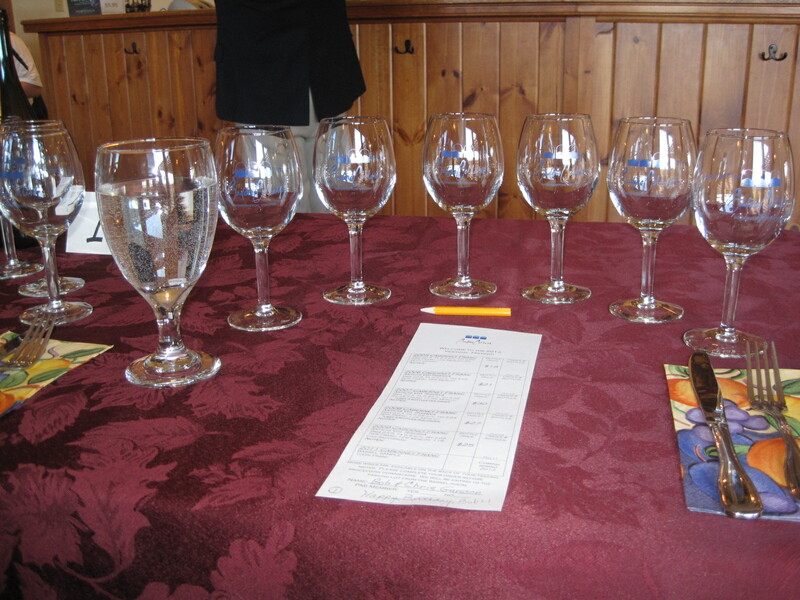 We tasted wines from 2005, 2006, 2007, 2008, and 2009, plus a barrel sample of the 2011. The Gadinos threw in a mystery wine, which we tasted blind. More on the mystery wine later. The 2005 and 2006 Cab Francs were both light and fruity, although the ’05 had a better mouth-feel, compared to the more velvety (I actually wrote “silky” in my tasting notes) ’06. When we tasted the two, they seemed like very different wines. 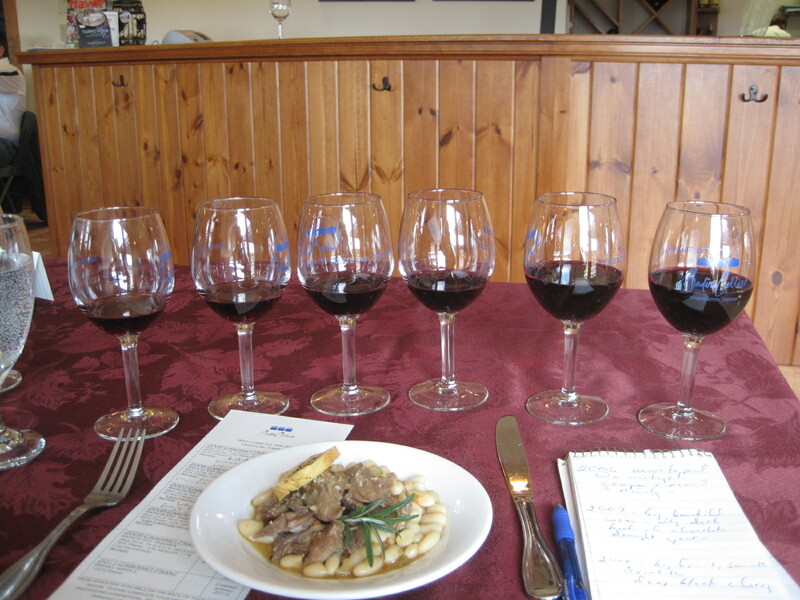 By the end of the tasting, I was thinking of them more as slight variations on the same theme. You could see the difference between those two and the next two vintages as soon as the wine hit the glass. 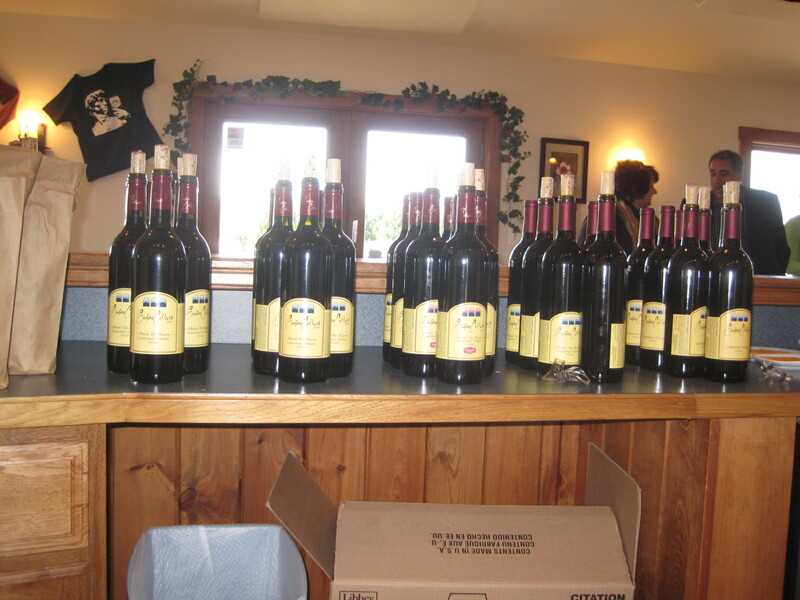 The 2007 and 2008 were deeper in color, not exactly inky, but dark and lush. These wines exhibited darker fruit, black cherry in particular. They were bigger wines than the first two, but still very smooth and drinkable. Bill Gadino talking about Cab Franc. Much of the difference had to do with weather, as Bill Gadino explained. In 2005, Hurricane Tammy hit in early October, forcing vineyards to pick earlier than they might have liked. The 2008 growing season, by contrast, turned very hot in late summer, and featured drought conditions in August. At Gadino, the grapes were harvested on October 11, a good week later than 2005. Brix, which is a measure of the sugar level in the grapes, came in at 23.3 in 2008, compared to 22.4 in 2005. The higher brix results in a higher level of alcohol and a bigger wine. The 2009 was my favorite, a wonderfully-balanced wine with lots of red-berry fruit that developed during the dry spell late in the growing season. It also had the highest brix of any of the five, coming in at 23.5. 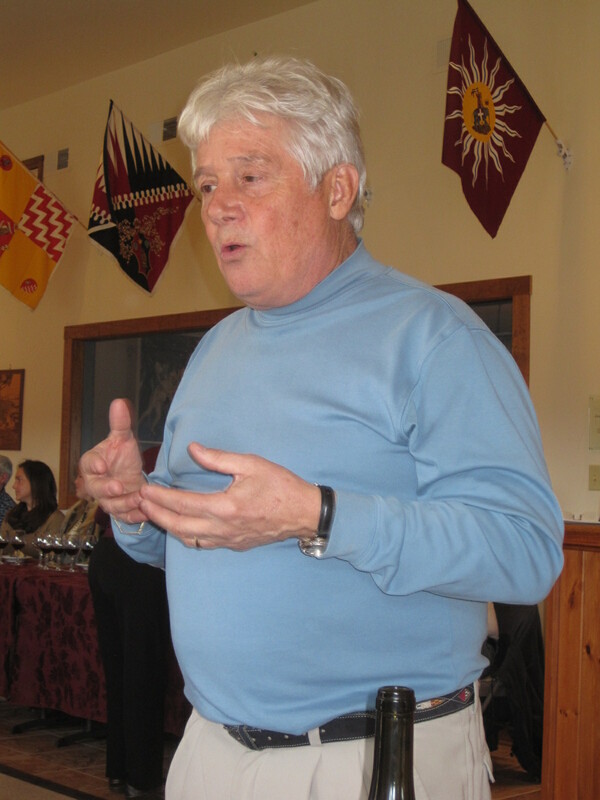 Bill Gadino, the owner and our host for the tasting, told us that in the verticals they’ve done over the years, the wines have changed a lot as they’ve aged, and often seem like different wines in each sucessive tasting. It will be interesting to see how the 2009 tastes next year, and especially how it will stand up alongside the 2010s. but the Cab Franc won’t be bottled for a few more weeks. The 2010 season was nearly perfect, and expectations are very high for the wines. However, we did get an early sample of the 2011, the vintage that most Virginia wineries would just as soon forget. The rain at the end of the season brought on a plague of fungal diseases, and it was a challenge to keep the fruit on the vine long enough to get the sugar levels up. 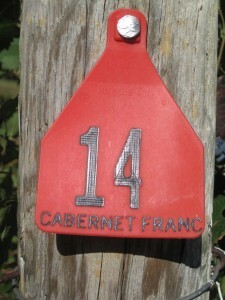 So, I was pleasantly surprised at the barrel sample of the 2011 Cab Franc. I don’t have nearly enough experience in the cellar to be able to predict how a wine will turn out based on a sample from the tank, but I can say that there was no evidence of methoxypyrazine, a compound in the that is responsible for the vegetal flavors that are sometimes found in wines from areas with short growing seasons. This wine has a lot of aging ahead of it before it will be ready for bottling, but it seemed to me that it was already showing promise. I don’t think it will be a great vintage, but it certainly won’t be the washout that so many had feared. One last thought on the five wines in the vertical. None was a “pure” Cab Franc. Instead, each was a blend in which Cab Franc was the dominant grape, with small amounts of Merlot, Petit Verdot, and, in one case, Cab Sauv, added. 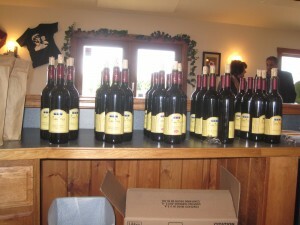 The 2009, which I liked the most, featured 76 percent Cab Franc, 12 percent Merlot and 11 percent Cabernet Sauvignon. (I’m assuming a rounding error.) Personally, I have always preferred blends to varietals made from a single grape, since the blending of different varieties adds complexity and balance to the finished wine. The Gadino Cab Francs illustrate this point nicely. And finally, let me say something about the mystery wine. It was a wonderful wine, and it turned out to be a Cab Franc from France’s Loire Valley. Was it better than the Virginia Cab Francs? No. Was it worse? Again, no. Was it different? Yes. For me, that was one of the the takeaways from this event. France, with centuries of experience, makes great Cab Francs, but Virginia does so as well, and it does so year after year. I can’t say that Virginia Cab Francs are better than France’s, but only that they are different, and that each can be enjoyed immensely for what they are. Despite Jefferson's dreams, Virginia is still a relative newcomer to the world of viticulture and winemaking. The fact that Gadino's Cab Francs can be compared so favorably alongisde wines from France speaks volumes about how far Virginia has come. Bob – Thanks for attending and taking the time to write your thoughts down to share with others. We’re glad you liked the vertical! Derek, thanks for leaving the comment. I’ve been out of town, but while away I got a number of emails from folks who want to sample Gadino Cab Francs. I’ll definitely be back for the next vertical — and probably sooner than that!